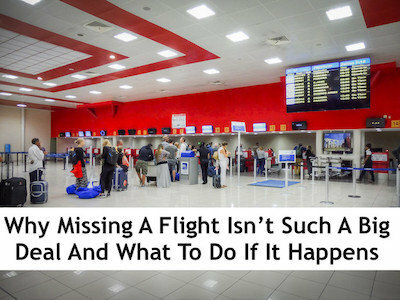 The one event most travelers try to avoid at all costs is missing their flight. Whether you you show up at the airport 3 hours early or cut it much closer, fear of missing a flight can induce panic, terminal sprints, and philosophical debates on rush hour traffic flows. Missing a flight can brandish you a careless traveling idiot undeserving to board another aircraft again but like most things in life, stuff happens. Fortunately I’ve been unintentionally researching for this post for years. Here’s what happens when you miss a flight and what you can do about it. Many of us who’ve ever flown on a route with a connecting flight have missed a flight due to a late connection. 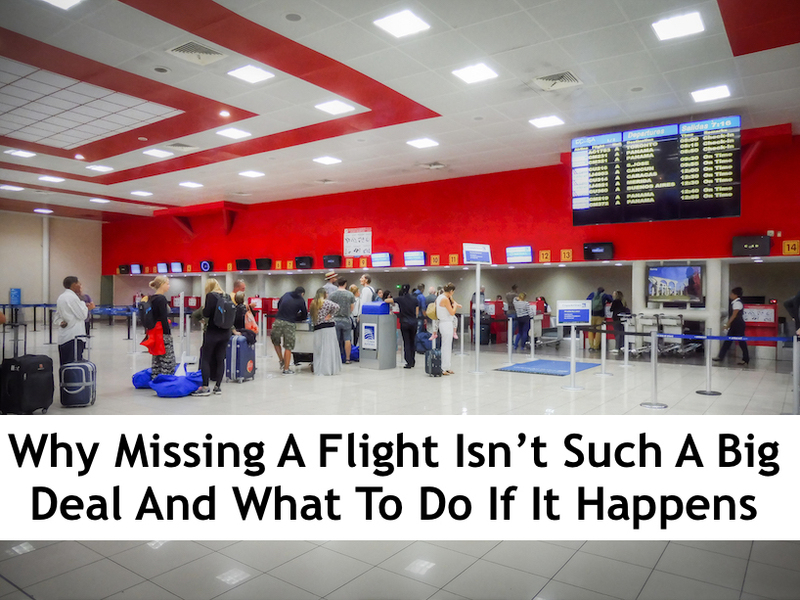 In those cases you’re put on the next available flight by the airline, an inconvenience but without the complications of missing your first flight from the airport altogether. This post is about the latter case, when, for whatever reason, you’ve shown up at the airport too late to check-in. The first thing to do is breathe and stay calm, in most cases it’s not the costly end-of-the-world mistake you may be thinking. For starters, you’re not the only one. 2% of all travelers who show up two hours before a flight don’t make it and around 70,000 American Airlines fliers have missed flights in the United States alone due to excessive security line wait times alone. Given the numbers of people missing flights, the airlines have incorporated some flexibility for customers to handle such circumstances. Prior to getting to the security line, your major deadline is check-in. For most flights if you’re not at the airline counter 45 minutes before departure, checked bags or not, you’re probably not making that particular flight. You should do all you can to make it on time but know when it’s time to start thinking about alternative options. Trivially stressful events like soccer matches can increase your chances of a heart attack and a missed flight isn’t worth a hospital visit. Once you’ve accepted the inevitable, begin politically pivoting to get on another flight and pay as little as possible for it. Anecdotally, several airlines have policies that allow passengers to re-book flights with no penalties if they’re no later than 2 hours of the scheduled flight. For close calls (i.e. missed flights within 2 hours) go to the check-in desk and explain your story. (Or as Spock would say, exaggerate the truth.) 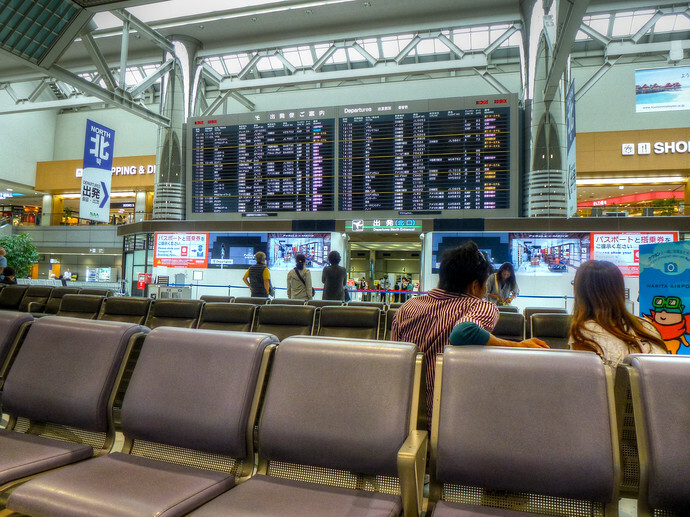 When you arrive at the airport, be sure to tell the staff you’re running very late for a flight so they can push you to the front of the check-in line – you might get lucky if there are any flight delays. In cases where you’ve really screwed up the times, say A.M. with P.M., be calm, collected, and use The Art Of War to get on the desk agent’s good side but first call ahead to the airline. At worst, you’re likely to pay a re-booking penalty of $100-200, and while it’s not the best news, it’s a lot better than having to pay for a completely new ticket. I guess it helps that we actually like airports. We usually show up 4-5 hrs before a flight. 🙂 I don’t know where it started but I have this thing where I absolutely need to eat at the airport, which is part of the reason why I like arriving early. I guess it’s become a part of my travel ritual.